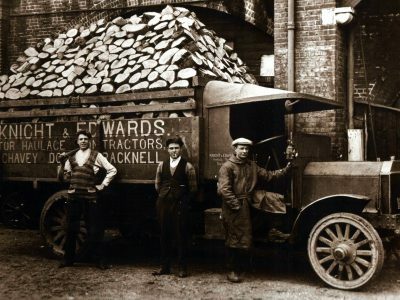 On the brink of the 1920s, heavy goods transport was a real challenge. The roads were in a poor condition, and many vehicle parts got broken. 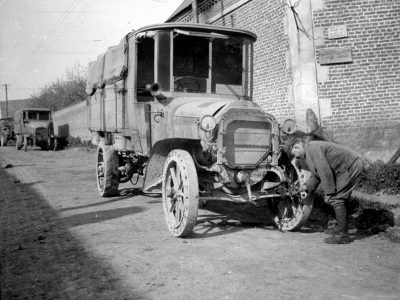 So, the drivers often had to stop for forced breaks. 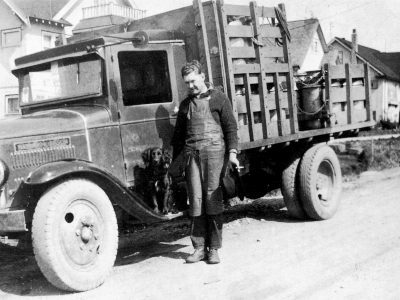 Back then, working behind the wheel of a truck required a lot of effort and endurance. 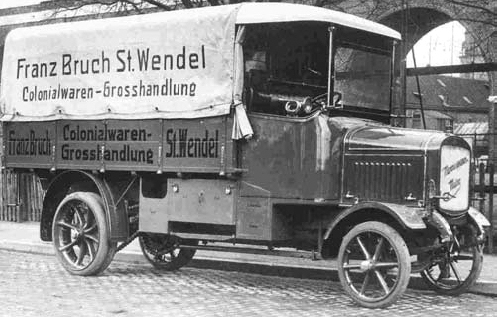 A German driver, Arndt Wobst, who was a truck driver in his family business, reminisces that his first transport contract was for transporting coal from Olaba mine, near Kleinsaubernitz, to Bautzen. Soon, we started taking longer distances. We transported products from the paper mill in Bautzen to Berlin. Our truck and trailer took 8 tonnes of paper. We took off from Bautzen about 6-7 p.m. and arrived in Berlin a good 12 hours later,” said Wobst. 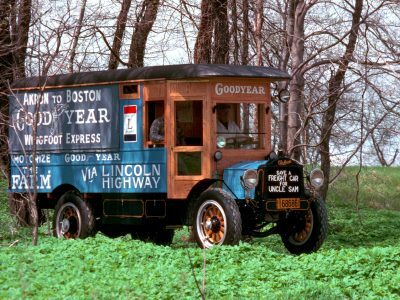 Low-quality materials which were used to build the truck and poor roads caused frequent failures and lengthy repairs. With minor faults, such as a broken chain, we dealt ourselves. The tools, rivets and cells, as well as back up fuel, were always at hand. On a flat area, we reached 30-35 km/h. However, frequent stops lowered the average speed to 8 km/h. Very often, we greased the drive chains. In the back of the truck was an old herring barrel filled with the used oil. A driver’s assistant, from time to time, had to get out of the cabin and spread this oil with a brush over the chains. Repairs of broken springs were more complicated. We had to rely on the closest blacksmith, but to get to him, we needed to put a branch cut from a roadside tree under the truck,” he described the repairs. The first long route taken by the German transport company was from the paper mill in Bautzen to Duesseldorf. We departed on Monday morning. We drove through the first night. On Wednesday, we reached our destination. Then, we got to the margarine factory in Kleve by train. I hoped to get a transport order to their warehouse in Dresden. They nearly put me under investigation to make sure that I would be able to take 8 tonnes of margarine by the next Sunday,” Wobst had a real problem to convince the client that he would manage to deliver the goods on time. Meanwhile, the railway suffered a very severe shortage of wagons, so it was necessary to wait a long time for the service. Finally, I received a transport order. I went for the truck, which was waiting for me cleaned and tidied up by my assistant, Poldrack. He even cleaned carbide lamps and polished a brass cooler. So, we went in our shiny truck to Kleve and then to Dresden. When we got back on Monday morning to the company’s yard, my father, which had been very skeptical before the journey, enthusiastically said that we had to go back again to Duesseldorf,” Wobst finished his story.